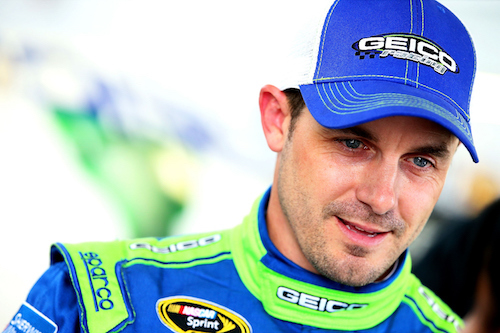 After a two-year absence from the Monster Energy NASCAR Cup Series, Casey Mears will attempt to qualify for the 2019 Daytona 500 on Feb. 17. He’ll drive a second Germain Racing entry, a No. 27 Chevrolet, as a teammate to Germain’s full-time driver of the No. 13, Ty Dillon. The No. 27 will be fielded through a partnership with Premium Motorsports. Mears drove Germain’s No. 13 car from 2010 through 2016 before losing the seat to Dillon. He hasn’t raced in the Cup Series since then. He ran a partial schedule in the NASCAR Xfinity Series in 2017 as a driver for Biagi-DenBeste Racing. He didn’t compete in any of NASCAR’s national series last year. Mears’ career stats include 488 races in the Cup Series, dating back to 2003. He has one win, coming in the Coca-Cola 600 at Charlotte (N.C.) Motor Speedway as a driver for Hendrick Motorsports in 2007. He also has 13-career top-fives 51 top-10s. Mears finished second in the 2006 Daytona 500 for Chip Ganassi Racing and fourth in the July race at Daytona (Fla.) International Speedway in 2014. The No. 27 team doesn’t have a charter, so Mears will have to qualify through Sunday’s front-row qualifying session or one of the Gander RV Duel races on Feb. 14.